Where does the run-off go? 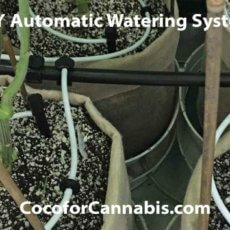 Our tutorial for "Self-Draining Saucers" will allow you to take the water away from the plants, but to where? It all depends on how much gravity you have to play with. If you can raise your plants, perhaps raise the whole tent, then you can simply use gravity to drain into a bucket. Preferably the catchment bucket will sit outside the tent or grow space to reduce humidity. What if you don’t have height and gravity to work with? This was my problem! The "Self-Draining Saucers" we describe in the tutorial raise the plant 3.5”, and I needed to work with only that amount of rise. 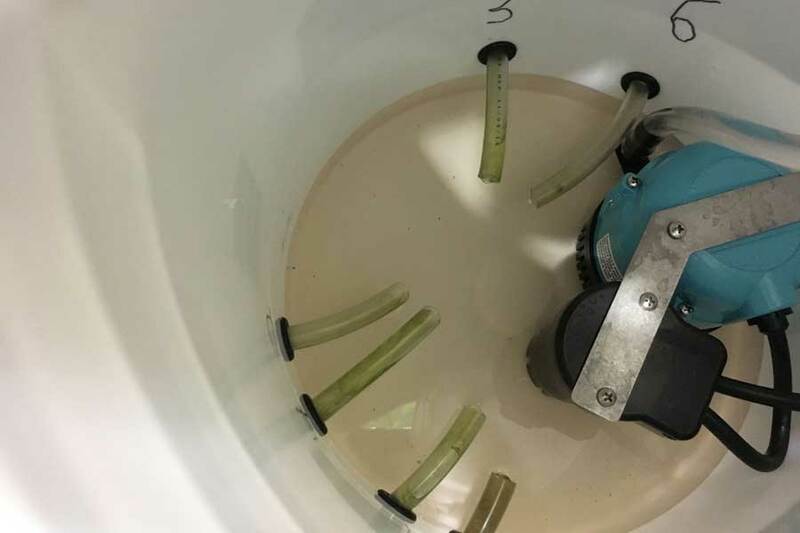 With multiple daily fertigation events producing run-off, it was not enough to simply drain into a saucer or shallow pan. 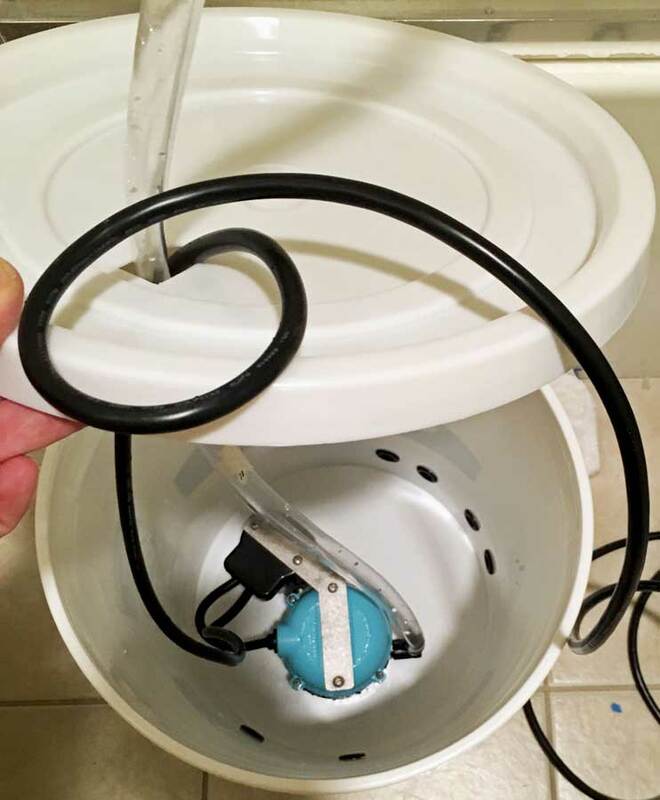 So I created an Automatic Pumping Drain Bucket. 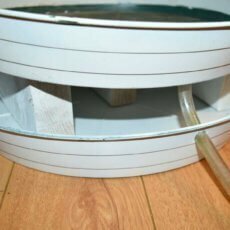 The "Self-Draining Saucers" have 1/2” drain lines. I cut holes 2” from the bottom of a bucket and attached grommets. I then fed each drain line into the bucket. 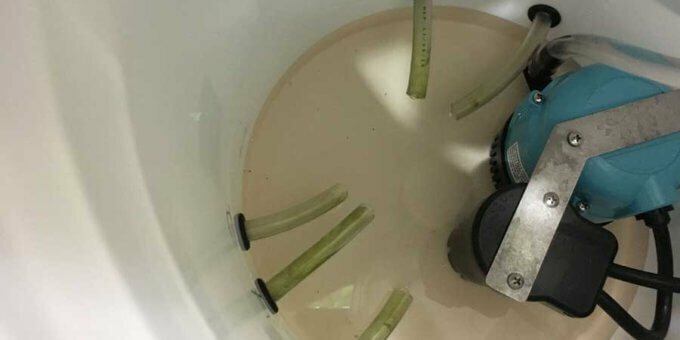 Inside the bucket is a “Shallow Pan Condensate Pump”. The saucers drain into the bucket and the pump evacuates the waste water automatically. 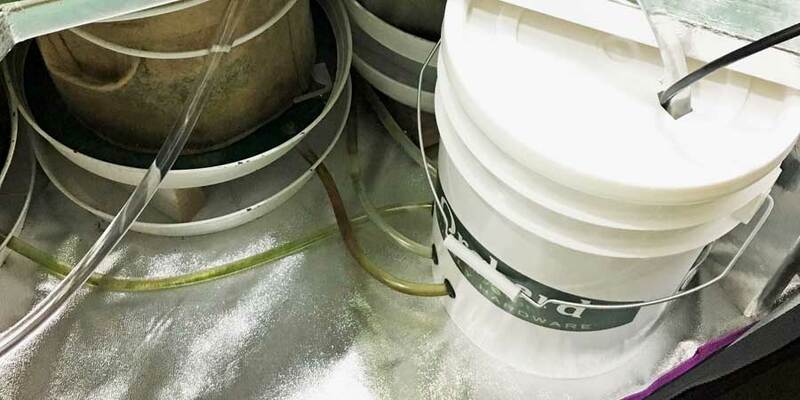 Simply attach 1/2" vinyl tubing to the pump and pump it to a separate 5-gallon bucket that sits outside the tent. 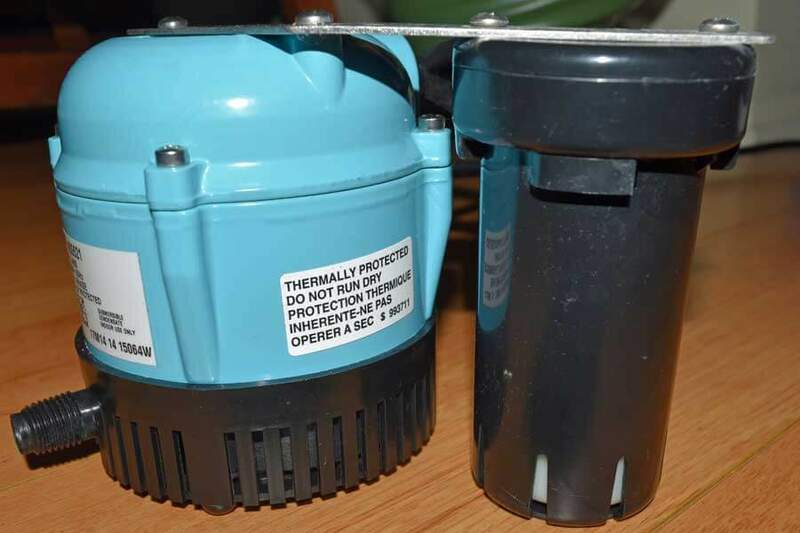 This is a pump that is designed to sit in a tray (or bucket) and turn on automatically when the water reaches a certain height. I had to get the “shallow pan” model, which turns on in only 1.75” of water and shuts off again when water is about 1”. The pump is expensive but be careful about cutting corners here. I did a lot of research and if this is your problem, this pump is an excellent solution. 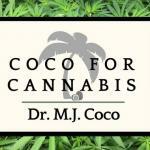 Hey Dr. Coco, I just want to say Thank You so very much for all this excellent information that you provide on your site. I just recently decided to grow in coco and happened to find your site by accident, and what an awesome find. I also bought your e-book on growing in coco, I’ve never understood or grasped the whole nutrient-E.C. concept, but the way you go about it and explain it, it totally makes sense to me now, it really is a great read, lots of pertinent info.in there. 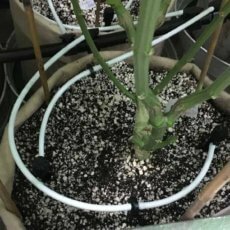 I can’t wait to start growing, but first I want to make the self draining saucers aand the rest of the auto watering setup. I’m looking forward to reading all the new articles that you plan on adding to the site. Merry Christmas and Happy Holidays from the northeast. Mike H.
Awesome Mike, Glad you are enjoying the info and really happy that you found us here! I hope that you start a journal in our forum for your grow and Please consider joining us in the New Year’s Grow Challenge!